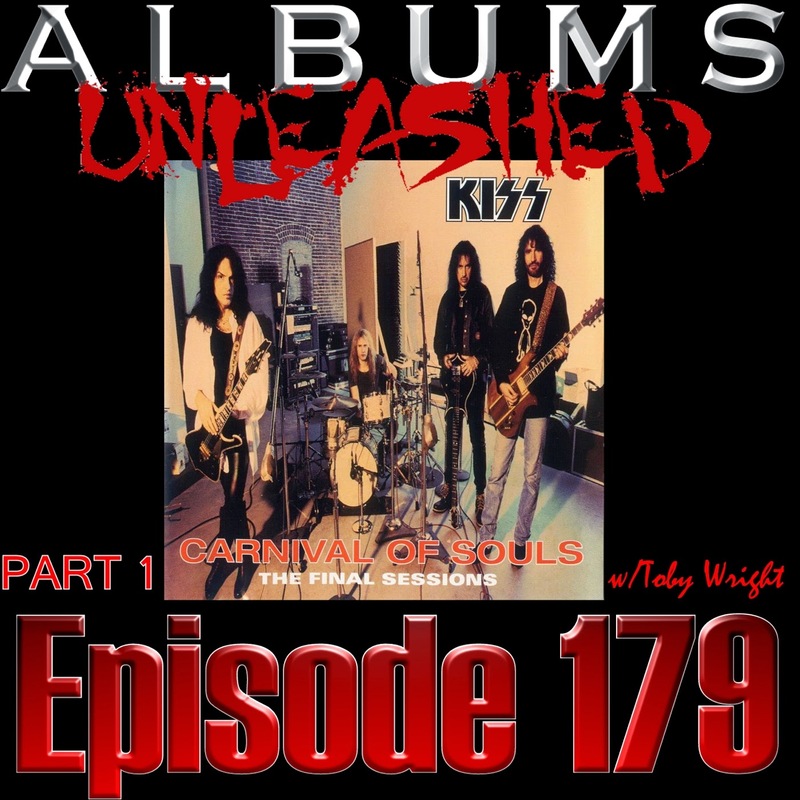 Famed producer Toby Wright sits down with Chris and Aaron this week for part 1 of a 2 part Albums Unleashed special covering KISS’ 1997 release Carnival of Souls. Shelved in early 1996 by Mercury Records due to KISS taking a left turn at Reunionville, Carnival of Souls leaked shortly thereafter and was bootlegged in large numbers necessitating an official release in October of 1997. In this hour-plus part 1 episode, Toby Wright recounts his initial meetings with Gene Simmons and Paul Stanley about the “new direction” in which the band was deciding to head, his impressions of the songs being written for the album, and the tracking of basic tracks. The track by track discussion in this episode includes Toby’s memories of the creation of songs ‘Hate,’ ‘Rain,’ ‘Master & Slave,’ ‘Childhoods End,’ ‘ I Will Be There,’ and ‘Jungle.’ Discussion of tension between Simmons & Stanley over arrangements is also included as well as Wright’s memories of a tense mixing session with Simmons in regards to his bass part in one of the songs and how, due to the co-production credit on the album, politics and diplomacy had to be in delicate balance. It’s the first half of deep talk about one of KISS’ most polarizing albums; with many members of the KISS Army either loving it or hating it. We hope you enjoy Albums Unleashed – Carnival of Souls with Toby Wright. EDITOR NOTE: Much of the source material for questions presented in this 2 part special from Bruce Kulick’s fantastic Carnival of Souls Retrospective. Click HERE to check it out! Skrou You!! An Interview with Toronto’s Skrou.